THE colourful stairs at La Casita are hard to miss and lead us to the new 1,700-square-foot dance space on Eeshwaran Koil Street, started by Kash Kelsang Dolma.A� a�?We can conduct dance and yoga classes here. The space can also be used for movie screenings. Bollywood and Western dance classes are already taking place here and we also have the Travellera��s Cafe,a�? begins the professional zumba trainer, who has been working on the week-old La Casita since March. With the capacity to accommodate 100 people, it is divided into two levelsa��the first floor includes a dance and activity area and the rooftop houses the cafe. Was dance her inspiration? a�?Not just dance, but music, colours, costumes, people and history inspired me to create a space to share/experience under one roof,a�? says Dolma who used to conduct zumba classes at Auroville, among other places in Pondicherry. 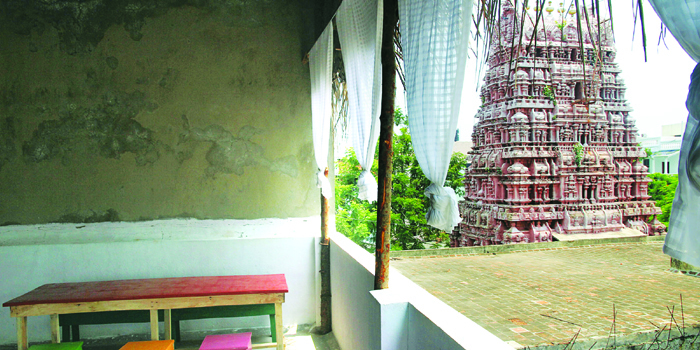 Dolma points out that the cafe is a breezy al fresco area with a view of a local neighbourhood temple. Stocked up with books, guides and table games, the cafe has no set menu. Try their refreshing beverages like agua de Jamaica (hibiscus tea), agua fresca (cucumber juice) and papelon con limon (jaggery and lemon juice). For quick bites, ask for theirA� aloo tarkari or momos, which are light on the masala. Targeting students and residents, La Casita mostly sees an expat crowd.